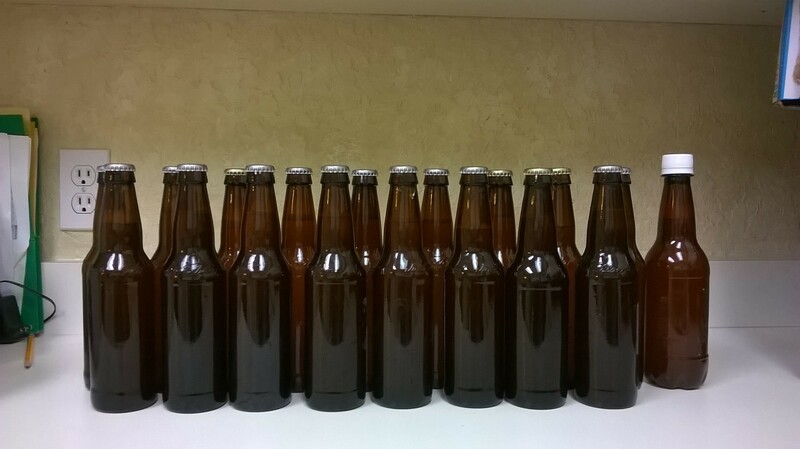 After a couple of weeks in bottles, it was time to see what I had wrought. Appearance: Pretty much black. The beer is carbonated and there is a head on the pour, but it quickly dissipates due to residual oil in the beer contributed by the coconut. I had read about this happening with those who’ve tried using coconut in beer, so this is no real surprise. Also, some tiny bits of coconut had escaped my paint strainer bag and into the bottled beer. So at least I can point to that as proof that I used real coconut in this. But they are so small, you can see them but you can’t feel them in your mouth. Aroma: Nice chocolate and coconut undertones coming in with the roastiness of the malt. Very pleasant. The solvent/rubbing alcohol aroma had subsided. Taste: As with most beers, the taste follows the aroma. Familiar roast malt profile from my base porter recipe, but the chocolate comes through assertively and the coconut was subtle but noticeable in my early tastings. However, the coconut has totally fallen off in a matter of a week. The solvent flavor has retreated but you can still detect a little bit on the back end. But it doesn’t prevent me from enjoying it. The half pound of lactose has also dialed in a nice level of sweetness to it. Mouthfeel: Nice medium mouthfeel, and luckily there is no oily slickness from the coconut. When I conceptualized this beer, I was thinking of a more velvelty, viscous mouthfeel, which I didn’t attain. But still not bad. Aside from the residual solvent note which ended up at a lower drinkable level, I’m kind of pleased with how this came out for a first try. I was hyper critical when I had my first bottle. But now as another week has gone by, I’ve had a few more and I’m finding it very drinkable and delicious despite the coconut falling off rather rapidly. I may consider foregoing the real coconut and just add some coconut flavoring next time around. I do find myself looking forward to the next bottle. This is the opposite of the bourbon porter I made last year that I still have a good amount of. That one was not a badly made beer and I know some who really like it, but the taste profile does not click with me and I just don’t enjoy drinking it. But this coconut porter? Yeah.. I dig it. 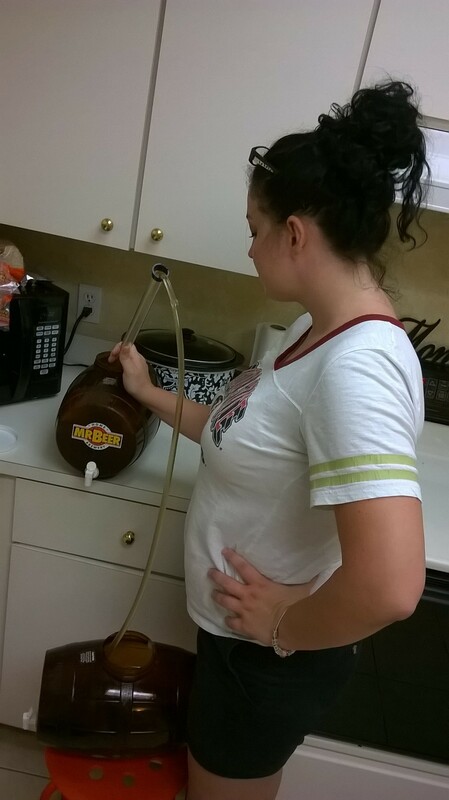 As luck would have it, the time that I decide to document the making of a beer, there is a possible issue. But it can be looked an opportunity to learn and share, if I can ultimately determine the cause. And that’s a big if. After a week in secondary and soaking the coconut and cacoa nibs in the porter, it was time to bottle. I did happen take a taste test 2 days in, and it tasted pretty good but the coconut was subtle. So I let it ride for the remainder of the week. Prior to transferring the beer to my bottling bucket, I took another taster sample. There was a prominent “hot solventy” off flavor. This surprised me quite a bit because the beer tasted great going into secondary (even two days into secondary). So if something went wrong, it was somewhere in the process after primary. Zeroing in on that, here are the possible culprits and my current thoughts about each of them. Autosiphon/tubing: I’ve used this thing so many times without issue, there is little to no chance this was the cause. 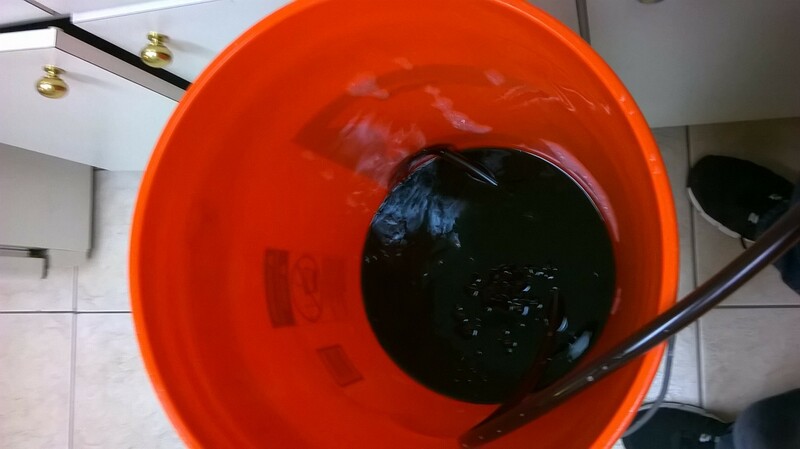 Home Depot 5 gallon paint bucket: I’ve used this bucket as a secondary vessel for 3 previous batches of different beers with no issue. It got a fresh cleaning and sanitization before this batch’s use. Cacao nibs: In general, there is no way to sanitize cacao nibs and I’ve used them in the past as is. It has never been an issue, much like the thousands of homebrewers out there that also use nibs. 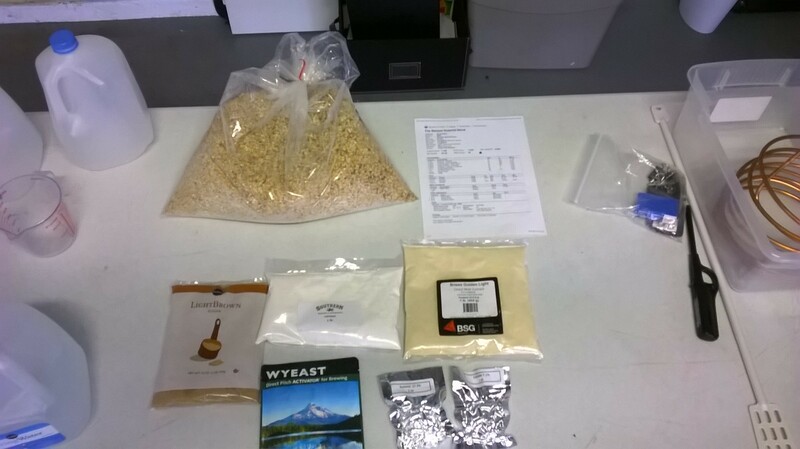 Coconut: This was an ingredient that I’ve had no prior experience with in homebrewing. Toasting it did heat the coconut to a great degree which should in theory kill off most of what may be naturally living on it. Also, I’ve read that various well experienced homebrewers have used coconut in primary or secondary with no issues. 5 gallon paint strainer bag (from Lowes): These are made of nylon and my thought was that this may have been the most probable candidate. Maybe there was some sort of chemical extraction going on with the nylon and alcohol. Or maybe soaking the bag in starsan (an acid) partially broke down the nylon in a non-visually obvious way. But again, I’ve read in forums of a number of homebrewers using these bags on post-fermentation beer and none reporting issues. But a lot of them were just using them as filters when they transferred their beer off the trub, which would not be a lot of contact time, whereas mine was 7 days. So it’s a possibility this may have been the culprit. Plus a lot of the off flavor guides out there do not attribute solvent flavors to infection. Usually it’s due to warm fermentation temps or stressed yeast. But this problem did not show up at the end of primary. So a chemical extraction would make more sense. So at the moment there is uncertainty, both due to the cause and the salvageability of the batch. I decided to bottle it anyway in hopes that the off flavor will recede and, given enough time, the beer will meld together. So in two weeks, I’ll crack one open and see what’s up. If anybody out there has had a similar experience or thoughts on this, comment away. 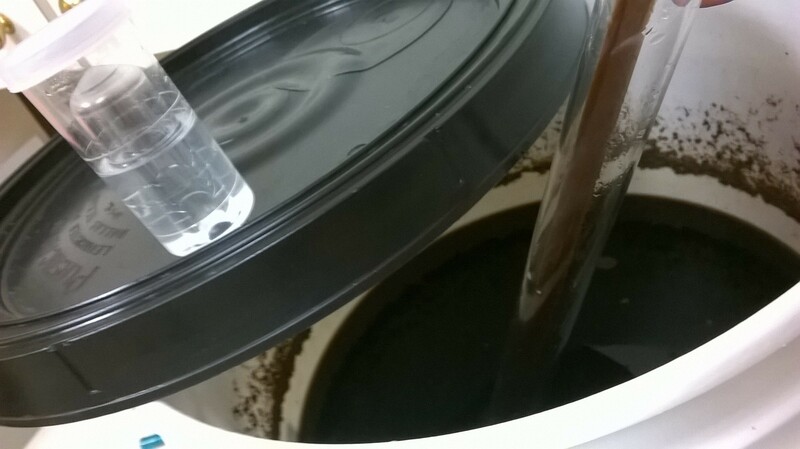 After two weeks in primary fermentation, it was time to transfer the porter to a secondary container and add the coconut and cacao nibs. The nibs are organic ecuador nibs that I got from the homebrew shop. I acquired the unsweetened coconut from Whole Foods. But first I had to check out how the porter was so far. 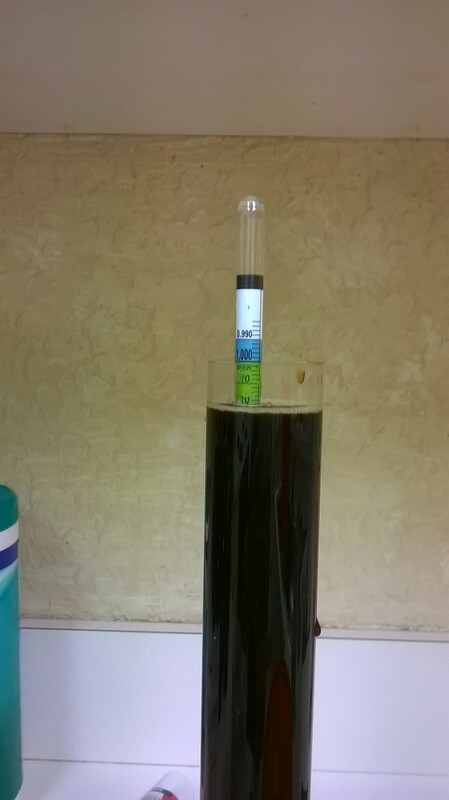 Gravity reading was 1.023, which brings the ABV to 6.4%, which is right about on target. Taste wise, it was pretty good. Solid roast with a bit of sweetness like I wanted. Mouthfeel was medium, so it had a little body to it. It would be great as a standalone porter without further treatment. I intend to do that in the future. But not now. 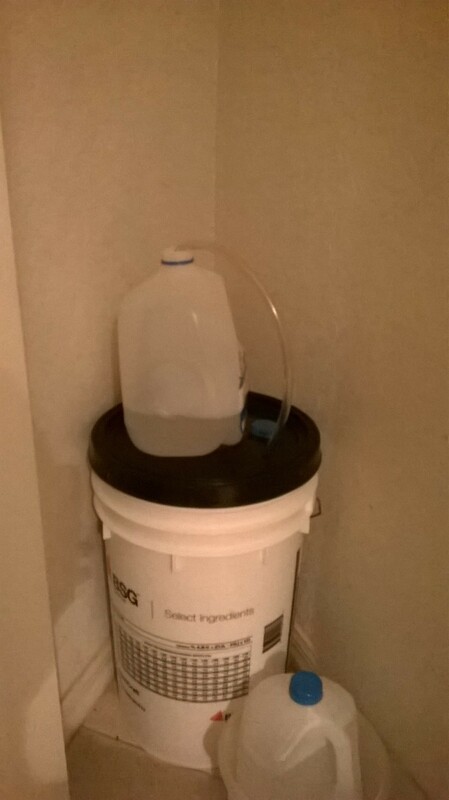 I transferred the beer via autosiphon to a clean, sanitized 5 gallon bucket. To prep the coconut, I lined a cookie sheet with aluminum foil and spread out a little over a pound of the coconut on it. I lowered the oven rack and set it to low broil. Then I toasted the coconut (with oven door ajar) for about 5 minutes. Then I stirred up the coconut with a spatula to expose the untoasted layers and let it toast for another two minutes. Just so it had a golden color. I sanitized a 5 gallon paint strainer bag in Starsan (the same type that I use to brew with), then put the toasted coconut and 4 oz of cacao nibs in it and tied off the bag. 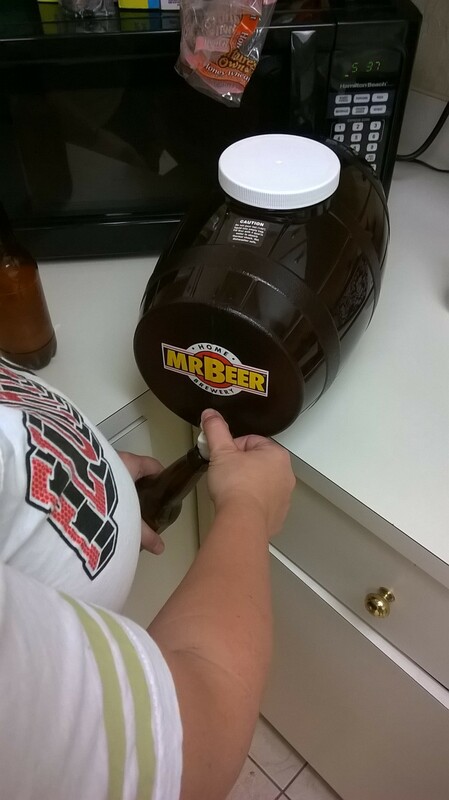 Then I put it in the beer, sealed the bucket and that’s it. So far, I think I’m on the right track. I’m going to take a sample in two days to make sure I don’t overdo the flavors, because I have no idea how fast the beer will extract the coconut flavor. Until next time. It’s been a while since I’ve done a recipe based post. 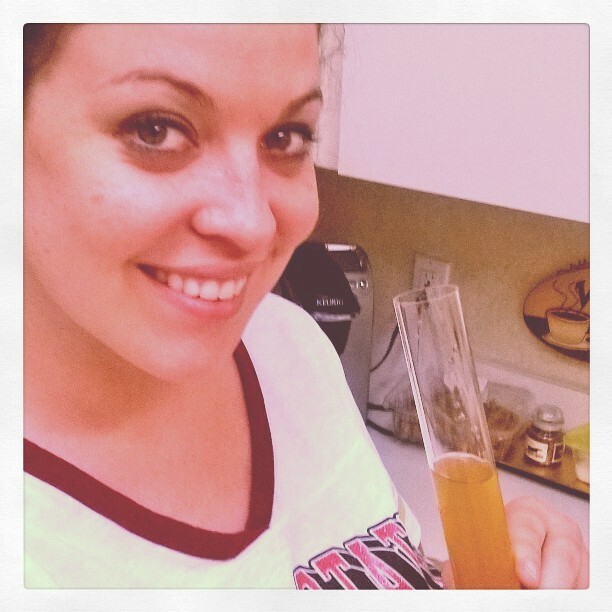 But I’m working on a new beer and thought it would be a good one to document how I’m doing it. 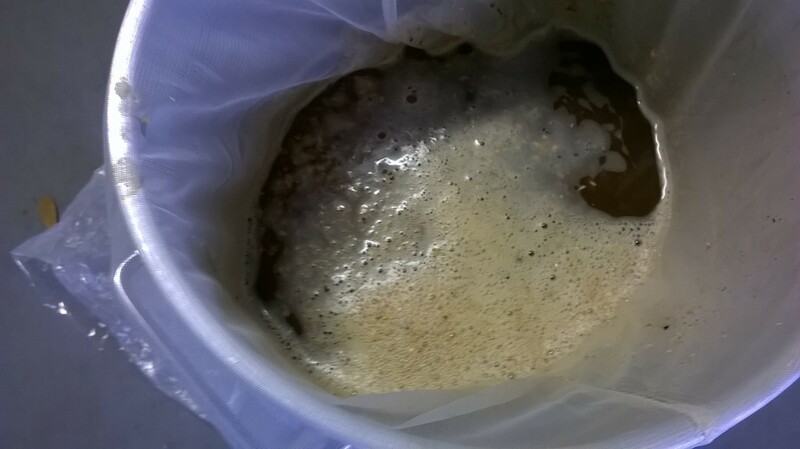 Flavoring beer with adjuncts (cacoa nibs, peanut butter, coconut, citrus peels, etc) can be challenging. It’s hard to gauge how much and for how long in order to get the flavor you want. You don’t want it to be so subtle that it’s almost non-existent, but going way overboard can be worse, rendering an otherwise fine beer almost undrinkable. I’m a sweet tooth, chocolate candy kind of guy. I just finished a milk stout that kind of met that need. But I want more. So I’m going all Mounds on this one and doing a chocolate coconut porter (the title of this post is my tentative name for it). I’ve taken the base recipe of my Night’s King Bourbon Porter (sans wood and bourbon of course) and tweaked it a bit to get some more sweetness into it. I’m adding a 1/2 pound of lactose to sweeten it, flaked oats to create a fuller mouthfeel and some roasted barley to give a little chocolate/coffee aroma. Then I’m going to add cacoa nibs and toasted unsweetened coconut to secondary for about a week to round it off. I’m treading a fine line here between a porter and stout. But historically all porters were stouts, but not all stouts were porters. So I don’t think I’m committing any heresy here. I got this idea from Funky Buddha’s Last Snow coffee coconut porter. There’s been a lot of raving about it and I got to taste it a month ago at a Brass Tap. It was ok but I was anticipating it to be something more. The coconut was there, but it didn’t have that luxurious dessert feel that I wanted and the mouthfeel was thin. That’s what’s great about being a homebrewer. 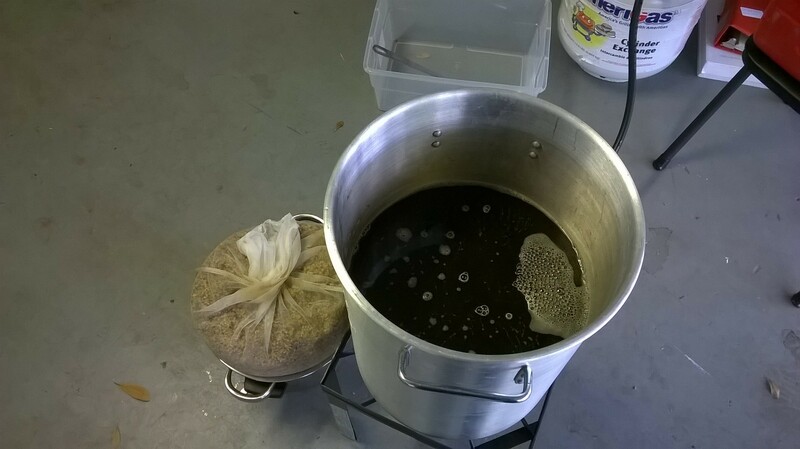 If something isn’t out there and readily available that you want to drink, you can brew it yourself to your exact liking …..hopefully. Brew day went smoothly and I’m in first week of primary. I keep the fermentor at about 68F for the first week and let it rise up to ambient (74 F) in the final week. The next step will be adding the nibs and coconut to secondary, which will be part 2.